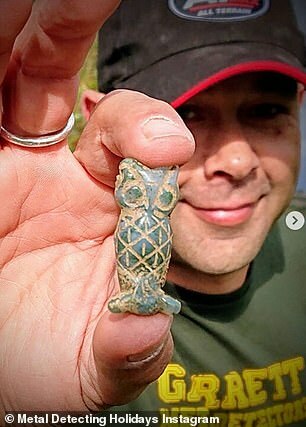 Metal detecting tourists from the US are paying thousands of pounds to join treasure hunting tours in Britain in the search for ancient artefacts. 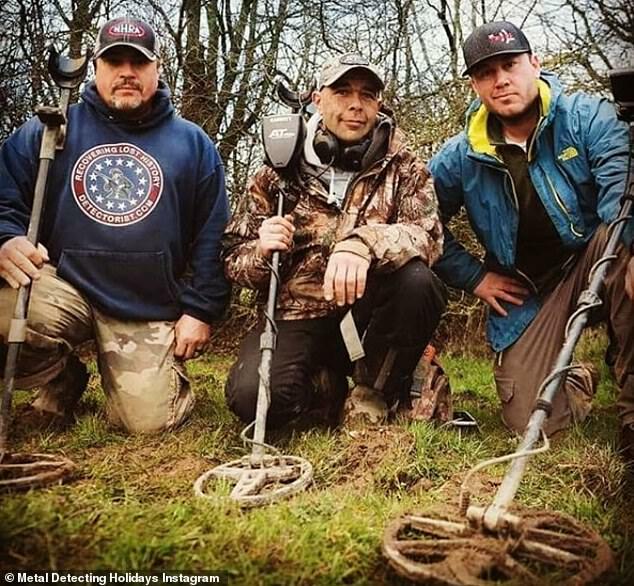 Hundreds of detectorists are flocking the UK every year to take part in organised group trips led by specialist operators in an industry fuelled by Instagram. 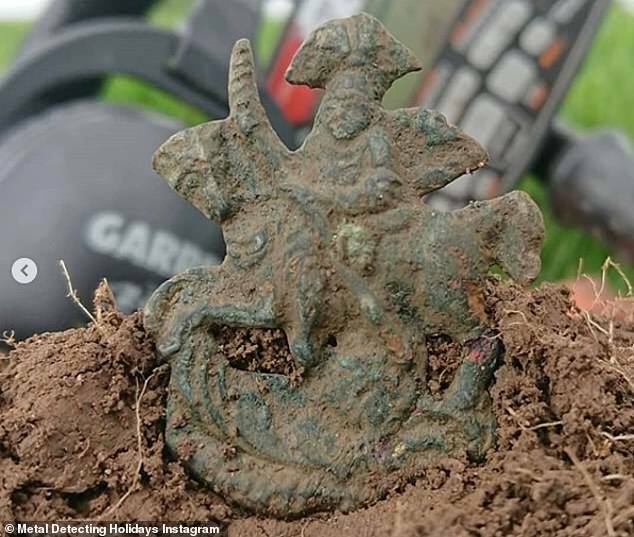 Posts on social media of Roman coins and medieval artefacts attract hundreds of likes on social media and have helped provide a surge in visitor numbers scouring the country's muddy fields and beaches. 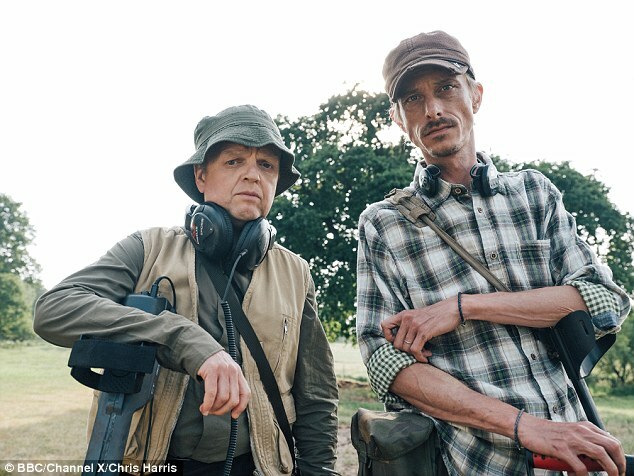 The BBC comedy series Detectorists, starring Mackenzie Crook and Toby Jones, and reports of huge finds like the 14,865 coin Hoxne Hoard have also helped drive the popularity of metal detecting. Chris Langston, 45, launched Metal Detecting Holidays in 2017 that operates in Shropshire. Guests pay £1,499, excluding flights, for a 12 day tour. They stay in a house in the village of Whittington, near Shrewsbury, and scour 500 acres of land that lies close to a 12th century castle and a Roman road. He told The Times: 'I've been detecting for six or seven years and realised I wanted to make a business out of it — give Americans their bucket-list holiday of a lifetime. He told the paper that 60 per cent of Metal Detecting Holidays clients are from the US, but he also gets visitors from Australia and Canada. 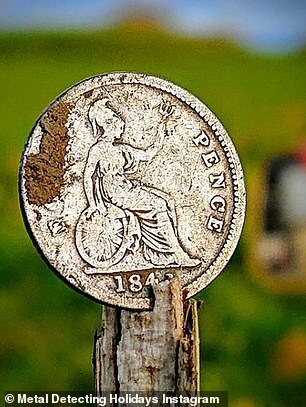 Any finds are posted on the company's Instagram account, like a silver sixpence of Elizabeth I, a gold half guinea of George III and a Roman ring. 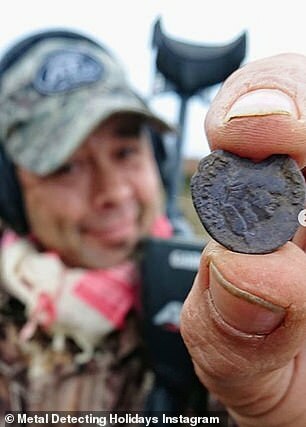 Mr Langston, who leads about eight tours a year from February to June and September to November, added: 'Because European settlement in America was so recent, it's very unusual there to find artefacts such as coins from before the 1700s. 'For Americans, even a coin from the 1800s is really old. 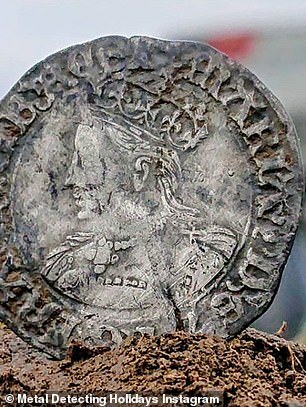 He told The Times that he discovered a hoard of King John hammered coins from 1199 to 1216 and a 1570s coin of Elizabeth I. The tours are potentially controversial as some archaeologists consider private detectorists to be plunderers. However, operators register older finds with the Portable Antiquities Scheme, a voluntary programme to record non-treasure finds. 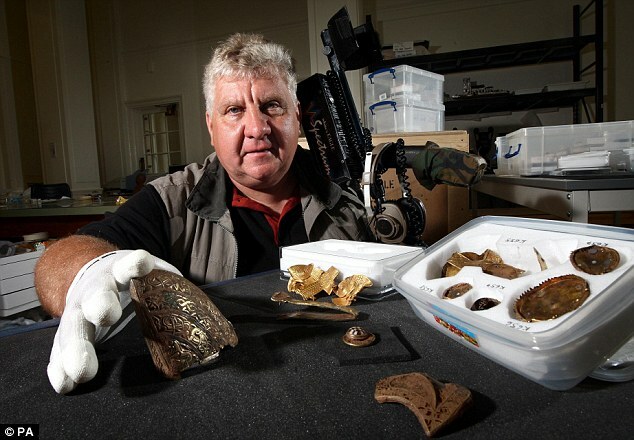 Detectorists from overseas can take finds home provided that they obtain export licences for items more than 50 years old. But if a find qualifies as treasure under the Treasure Act it may be compulsorily purchased by a museum. The proceeds are then split between the finder and landowner. In November 1992 metal detecting enthusiast Eric Lawes stumbled upon the largest hoard of late 4th century Roman silver and gold ever discovered in the UK. The hoard of more than 15,000 coins and 200 silver and gold artefacts was found in a field near the village of Hoxne in Suffolk. It is now on display in the British museum. Mr Lawes received £1.75million which was shared between himself and the landowner. 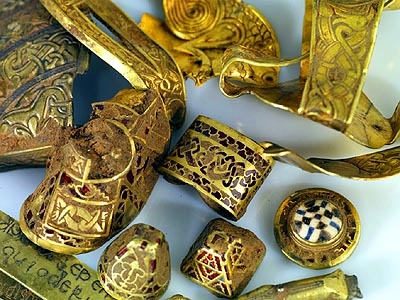 In July 2009, Terry Herbert, chanced about the largest hoard of Anglo Saxon treasure ever found.